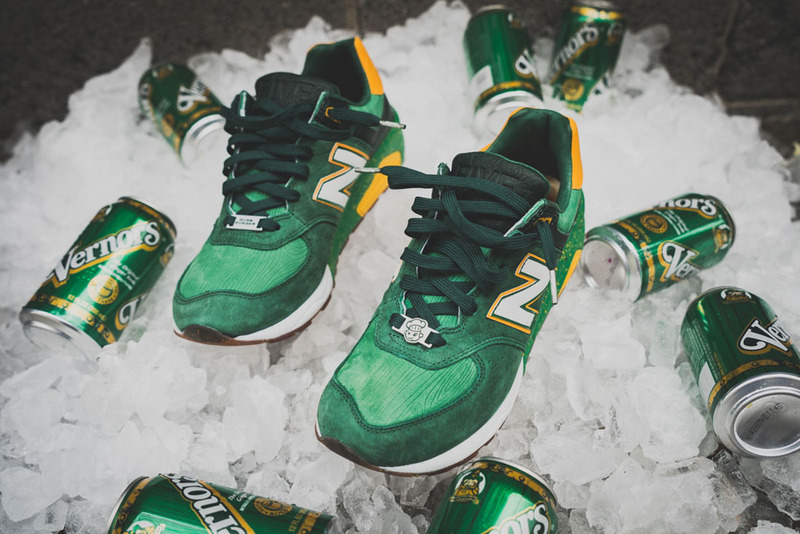 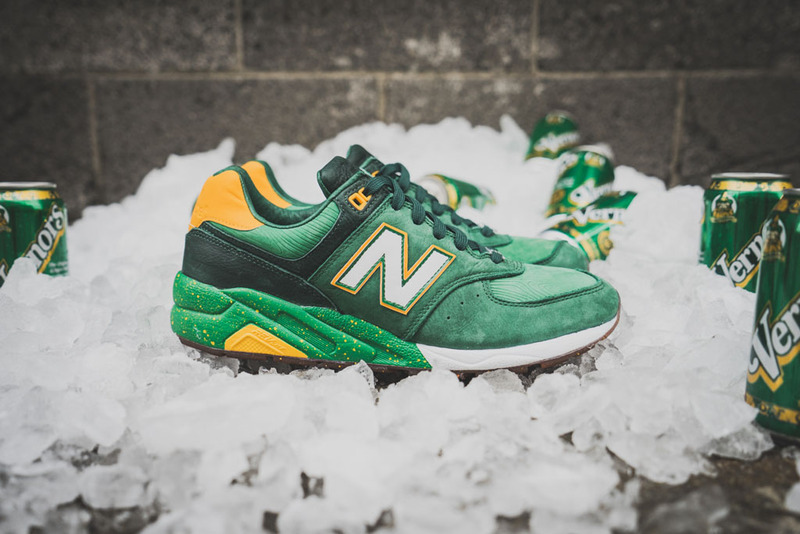 Burn Rubber linked up with New Balance again to style the 572, drawing inspiration from the soft drink Vernors. 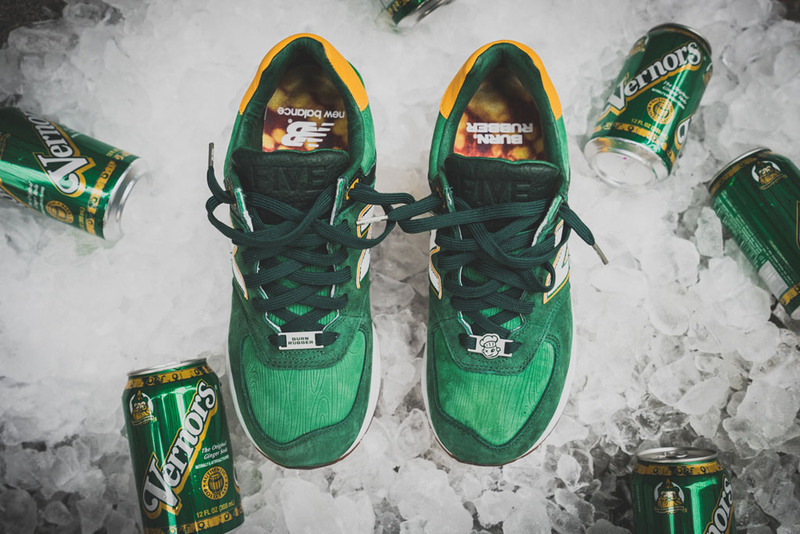 Detroit-based boutique Burn Rubber pulls back the curtain on their latest collaboration, set for an exclusive launch next weekend. 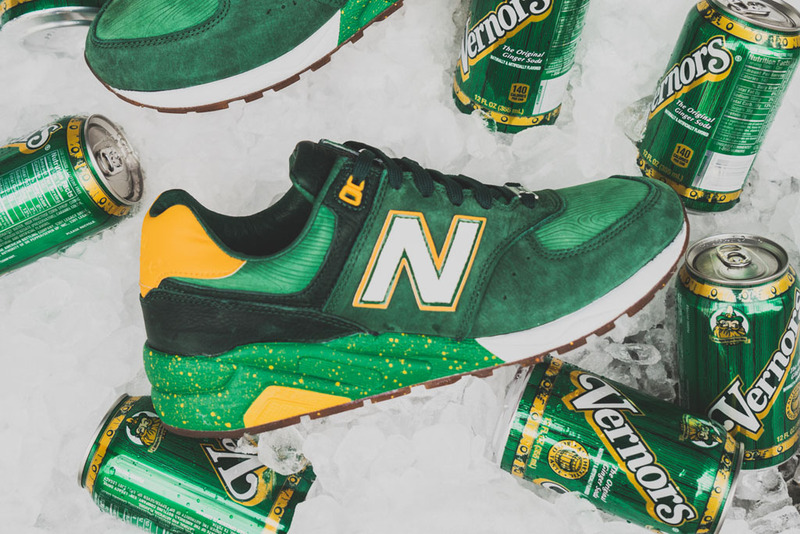 Burn Rubber linked up with New Balance again to style the 572, drawing inspiration from the soft drink Vernors. 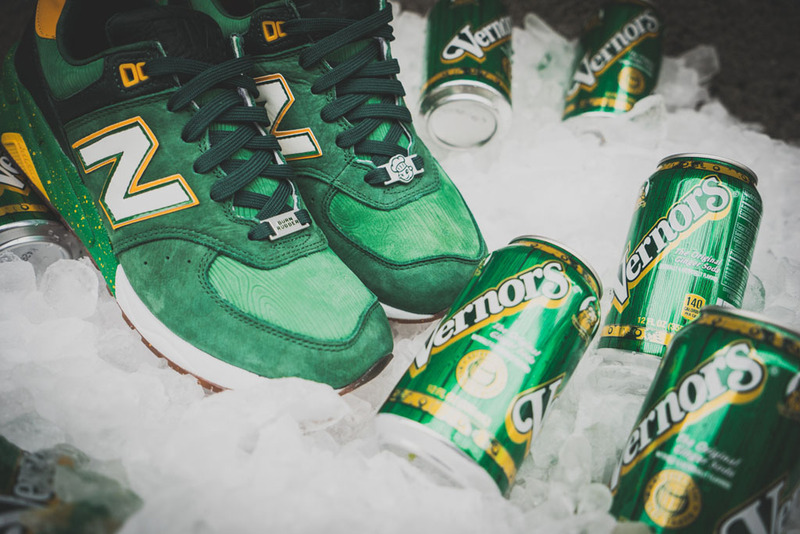 The creation of Detroit pharmacist James Vernor in 1866, Vernors is described as the oldest surviving ginger ale brand in the United States. 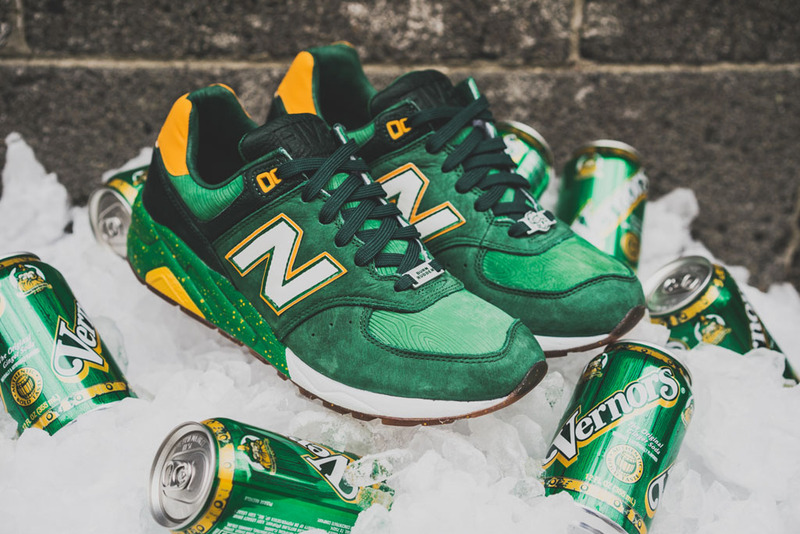 Burn Rubber’s new 572 features a green suede upper, with yellow and white accents pulled from Vernors’ packaging and cans. 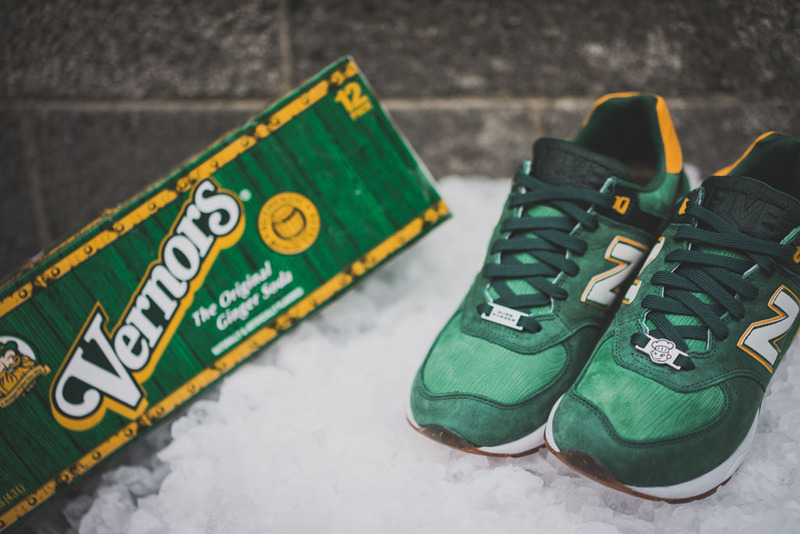 Other details include a woodgrain debossed toebox, gum sole and ginger ale printed insoles. 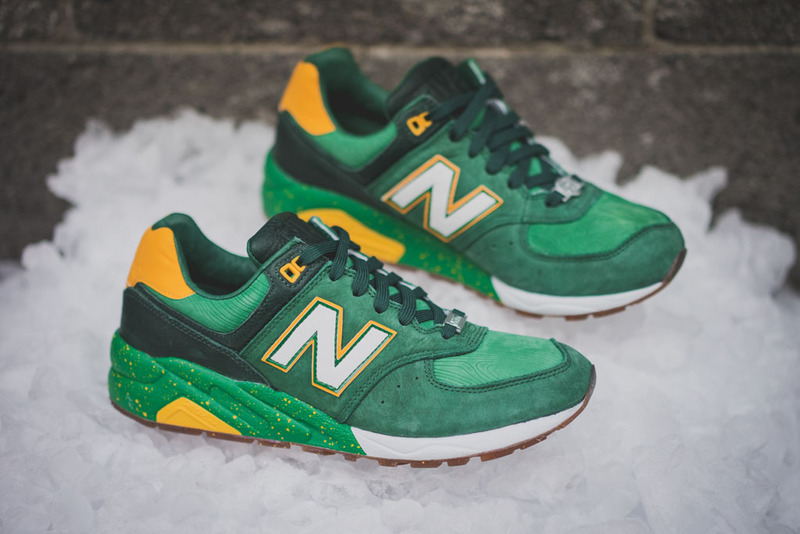 The ‘Vernors’ 572 will be released on Saturday, November 29 exclusively at Burn Rubber’s webstore.